I am a big believer in letting children decide for themselves what they like in terms of books (within reason, not talking about that really racist TinTin or Lady Chatterley’s Lover aged eight). Keeping children engaged with reading is enough of a challenge without limiting what they read. I remember distinctly the times when I was told I shouldn’t read things because they were too old/not suitable and very rarely was that sort of advice useful. The library was always the opposite as you could borrow anything. I remember a stage where I was roaming round the children, teen and adult section at the same time. This is one of the many reasons I love libraries, as being a key opportunity for children to develop their own taste in books. Parents don’t have to fork out lots of money for things they wouldn’t choose before seeing if the child likes it. Although Felicity is still too young to choose her books at the Library, I have still been amazed at how she already has her own taste in books, and it’s not necessarily my taste in children’s books either. 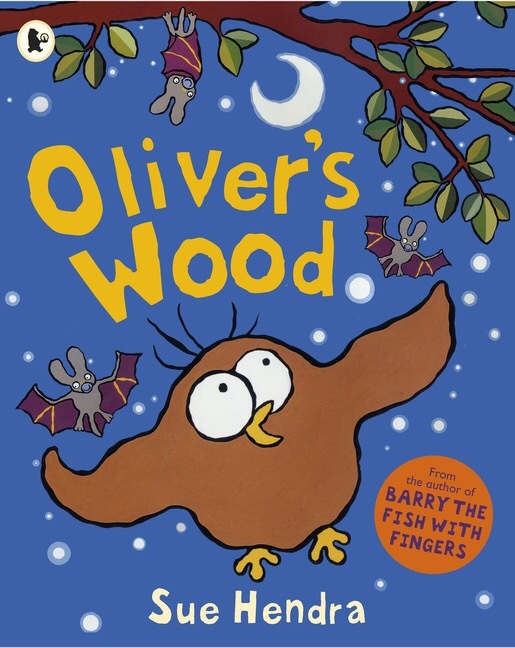 See the case of Oliver’s Wood by Sue Hendra. We had a copy of this as part of one of those multipacks from The Book People. I’d flicked through it and thought it was a bit dull to be honest. Plot and writing nothing special and cartoonish illustrations. But she loved it, at times when she hasn’t been bothered by stories at all she has shown real interest and delight in this book, even as young as four months. I can’t have been projecting my enjoyment as I wasn’t that enthusiastic about it, she has shown she likes this herself. That’s pretty exciting as a parent. My baby, who just yesterday seemed to be a newborn who didn’t really do anything, now has things she’s decided are good all by herself! This entry was posted in Reading with Felicity and tagged baby, Children's books, motherhood, Reading with Felicity. Bookmark the permalink. Oh, we’ve been through exactly the same thing with one of the Bookbug books – it’s something like “Feeling Great (Just Like Me)”; we both hate it but Matilda asks for it again and again. On the other hand, she has absolutely no interest in “Ten Little Fingers and Ten Little Toes” which a lot of her friends love. Isn’t it amazing how early they have their own taste? !